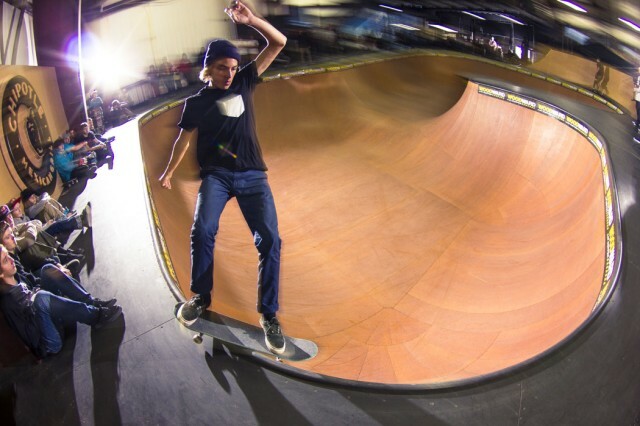 Dec. 2, 2013 (COPPER MOUNTAIN, Colo.) – Last weekend Flip Pros Curren Caples and Louie Lopez were joined by the Colorado skate community to celebrate the completion of the Woodward at Copper renovation with a weekend long REMIX party. More than 4,000 people went through the Woodward at Copper Barn during the event, and the total number of people at the resort for the REMIX weekend was over 14,250. The crowd that packed the Woodward at Copper Barn for the demo witnessed the smooth effortless style and flow that these two pros possess. They both unloaded an arsenal of tricks on the new terrain – many of which have never been done. A couple of those tricks included Louie’s nose grind on the hip in the bowl, and Curren’s second story ollie out of the pump track bump over a wall into the first story foam pit. Click here to peep this video to see the rest of the highlights. Curren’s high-speed assault showed everyone that skateboarding is truly an art form. This stalefish is just one of the tricks Louie made look way too easy last Saturday. Colorado is producing some rippers, and many of them joined Louie and Curren for the demo. Local standout Jono Schwan was a crowd favorite that transferred from the bowl’s deep-end to its shallow-end. 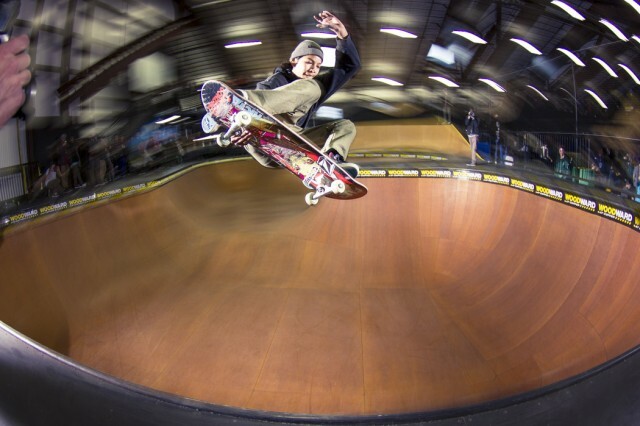 Colorado’s strong skate scene has a new indoor skate spot for cold, wet and snowy days, now that Woodward at Copper completed a $500,000 renovation of the 19,400 square foot Barn. The Woodward at Copper Barn now has a new 90 foot by 30 foot pump track with 11 foot vert walls on each end, a new street section, two miniramps, a bowl, the big air and small jumps to foam pits. Visit CopperColorado.com for lodging steals, event details, everything Woodward at Copper and more. Stay connected all season long at www.facebook.com/CopperMtn or @CopperMtn on Twitter. Keep up with Woodward at Copper at www.facebook.com/WoodwardCopper or @WoodwardCopper on Twitter.